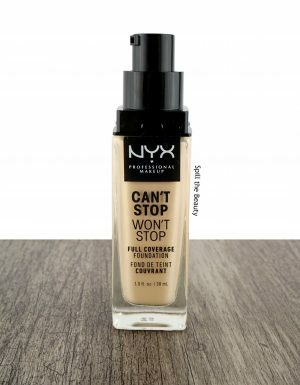 I bet Miley Cyrus is kicking herself for not trademarking the phrase “can’t stop, won’t stop,” eh? 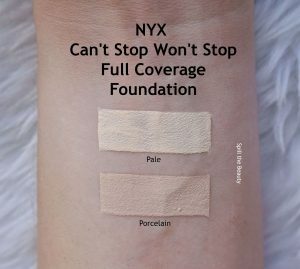 This is the latest foundation launch from NYX – a full coverage drugstore foundation. The NYX Can’t Stop Won’t Stop Full Coverage Foundation comes in a clear square bottle (Gah, I love when foundations come in these square bottle because it’s fantastic for storage purposes), with a standard pump applicator. It goes without saying that this foundation provides pretty decent coverage. 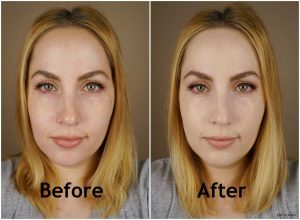 I used 1.5 pumps, applied it with a damp L’Oreal’s Infallible Blend Artist Foundation Blender, and was able to achieve a medium to full coverage. The finish is matte, but not that flat type of matte that you see with wall paint (remember a few years ago when matte foundations used to be like that?). 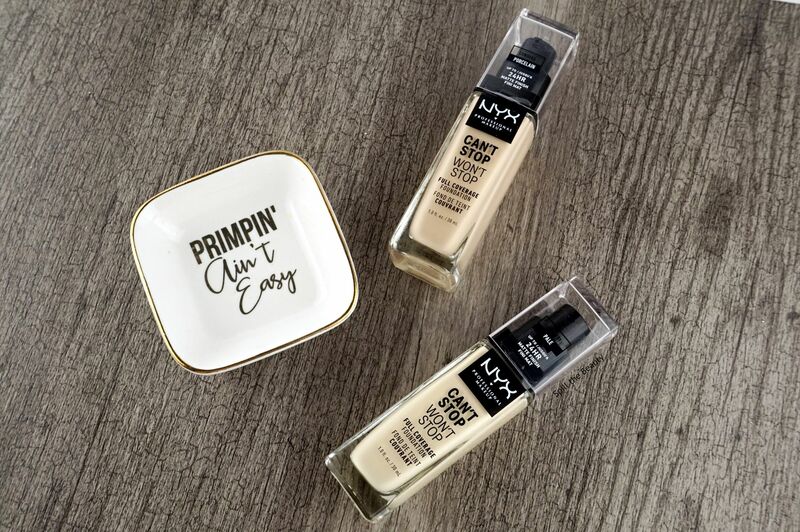 I tested out this foundation during a long day….a 16-hour day to be more specific. As far as how it lasted, it reminded me of the Benefit Hello Happy foundation. 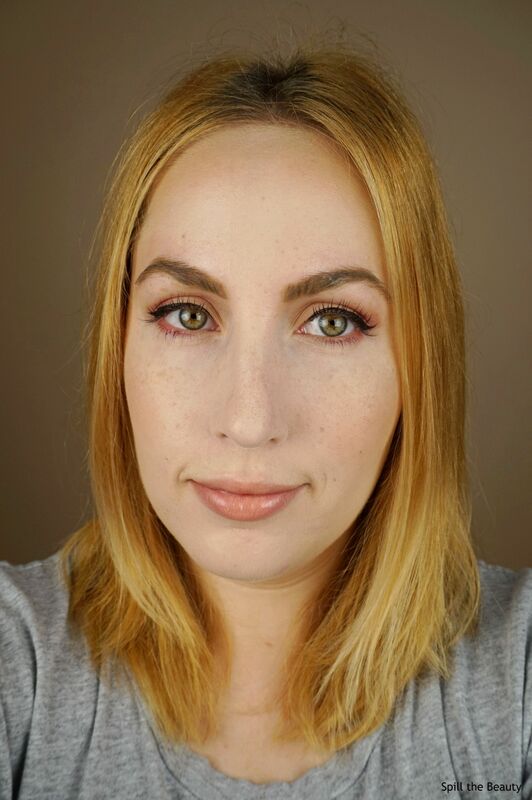 For both foundations, after a full day of wearing the product, the foundation wore off on my forehead. 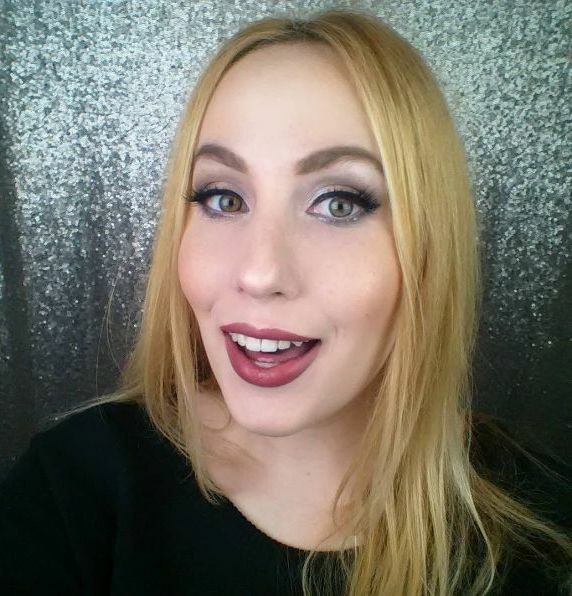 HOWEVER…..even though it didn’t last on my forehead, there was still some pigment left behind, which allowed my face to still look like I was wearing foundation and wasn’t missing a big patch of product. 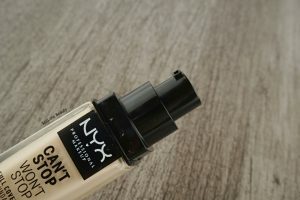 The only downside was that because the product blended out so well, the foundation didn’t work when I tried to use it cover up my blemishes. So, what do I think of the foundation? 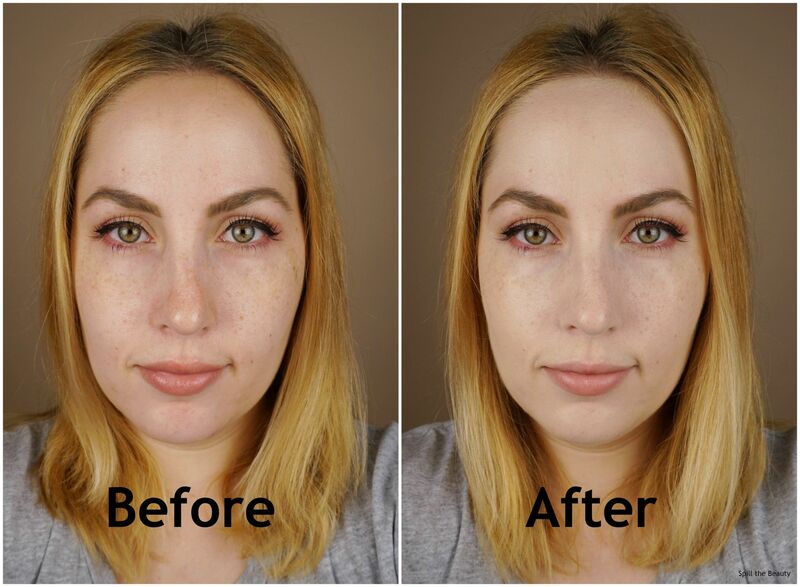 I’d consider it a thicker/more increased coverage version of the Benefit Hello Happy foundation. 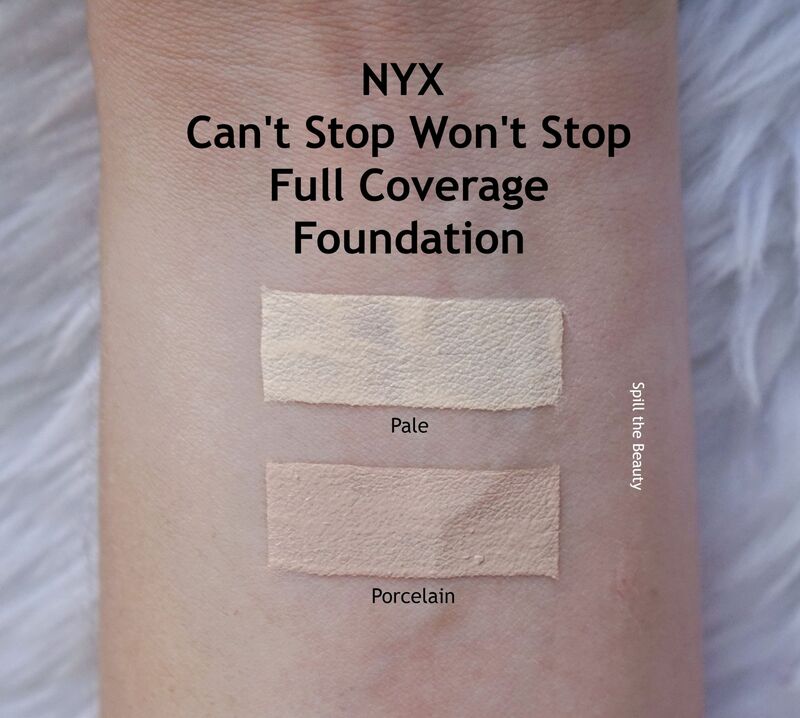 That being said, I’ll continue to wear it happily (probably with a lighter hand because I don’t think I can handle a full coverage look these days), although I’ll still need to reach for concealer when covering up my blemishes. It looks like it gives a really nice, smooth light coverage. It’s a great shade for you!